Record: Cheryl Fields-Smith and Monica Wells Kisura, “Resisting the Status Quo: The Narratives of Black Homeschoolers in Metr-Atlanta and Metro-DC” in Peabody Journal of Education 88, no. 3 (2013): 265-283. Summary: Fields-Smith of the University of Georgia, whose pathbreaking work on Black homeschoolers has been reviewed before on this site, and Wells Kisura of Trinity Washington University here combine the results of their qualitative studies of black homeschoolers to make several important generalizations. Both authors assert that bell hooks’ concept of homeplace accurately depicts why many black Americans are turning to homeschooling. “Homeplace” is a safe space where blacks can resist traditional cultural norms and restore dignity to their families, which is precisely what black homeschoolers are doing. Fields-Smith and Wells Kisura found considerable overlap in their respective studies of 36 black homeschoolers in metro Atlanta and 18 black homeschoolers in metro Washington DC. In both settings the families turning to homeschooling were doing so for strikingly similar reasons, reasons Fields-Smith and Wells Kisura break down into “push” and “pull” factors. There were three push factors, all related to negative experiences in conventional schools. Many children of these families were trying to resist what they perceived to be a pervasive “culture of low expectations” for their children. They believed that teachers, white and black, simply did not expect black children to perform very well and thus did not invest in their children’s lives in ways that would allow them to reach their highest potential. This was especially the case for boys. A strong conclusion from both Fields-Smith and Wells Kisura’s study was that black boys are being pulled out for homeschooling more frequently than their sisters, largely to avoid being labeled special needs. Finally, many black families feel that their local public school is not a safe place for their children. In a reversal of the familiar complaint that homeschooling is bad for socialization, these families think the public school is the actual culprit, surrounding children with a toxic mix of bad peer socialization and harmful adult supervision. Two “pull” factors also emerged in both studies. First, homeschooling provides black families with the opportunity to provide a much richer Afrocentric curriculum than the traditional public school can offer. 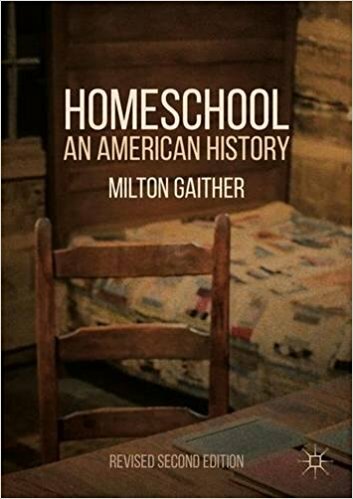 While public school curriculum does offer a limited exposure to influential blacks in American history, for example, the homeschooling parent can go well beyond memorizing some famous names to creating a strong sense of identity, of homeplace. Second, homeschooling provides a way for black families to expose their children to more diversity than one typically finds in most urban schools. This is done in two ways. Homeschooling curriculum allows for a more global perspective, as parents add material about countries and cultures beyond the Euro-American tradition that still dominates in public schools. Most provocatively, homeschooling allows black children to integrate more with white children through cooperatives and other social outlets. One mother is quoted as saying, “when [my children] were at [public school] 95% of the students were black and the majority of the teachers were as well so how can they get exposure to a diverse group of people there?” Homeschooling gets these children out of segregated public schools. That both qualitative studies used in this report found these common themes suggests that the generalizations here hold for many, perhaps most black home educators. I have two brief comments to make, however. First, as Fields-Smith and Wells Kisura are both aware, the demographic data provided make it clear that black homeschooling has at least as much to do with class as with race. The authors acknowledge this, but they do not stress it in their analysis. Though there are a few outliers, the vast majority of both samples are well educated, middle or upper income, two-parent families with multiple children. While it is no doubt the case that these families are trying to create a racial safe space for their children, it seems to me that they are also trying to create distance between themselves and other black children whose parents have less education and a bleaker economic prospect. Black homeschooling, then, may be another example of what Robert Reich famously called “the secession of the successful.” As it becomes increasingly difficult to climb the social ladder in the United States, middle class blacks may be turning to homeschooling simply to try to keep their kids middle class. Second, this article repeatedly gives the impression that black homeschooling is growing at a fast clip. The truth is that we simply don’t know what’s happening in terms of raw numbers. The best data there is on this question comes from the National Center for Education Statistics, and even that isn’t very good given the small sample size of black homeschoolers from which it makes generalizations. Acknowledging this, it is at least worth mentioning that according to NCES black homeschooling rates actually declined between 2003 and 2007, from 103,000 (9.4% of all homeschoolers) to 61,000 (4% of all homeschoolers). Again, these figures probably reflect random variations in the sample rather than hard trends, but it’s better data than what Fields-Smith and Wells Kisura provide, which is nothing but a citation of a 2006 article in the Baltimore Sun.